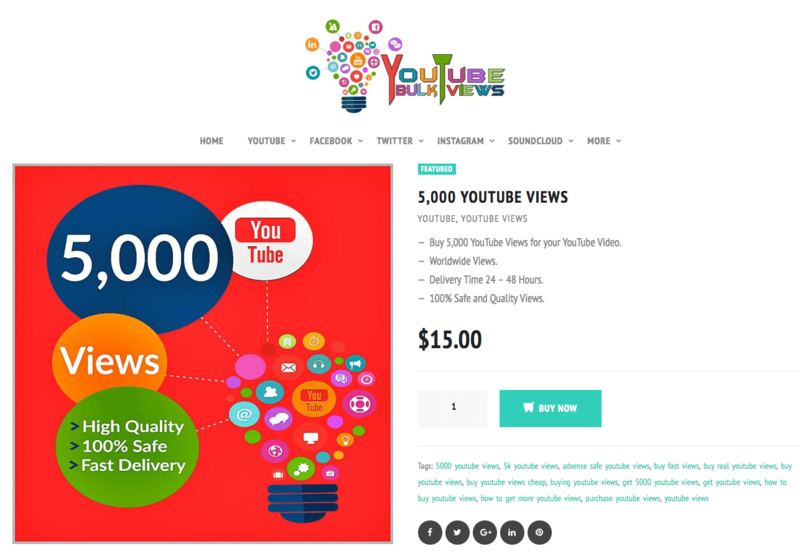 YouTubeBulkViews is a social media marketing provider that has been in business since 2012. 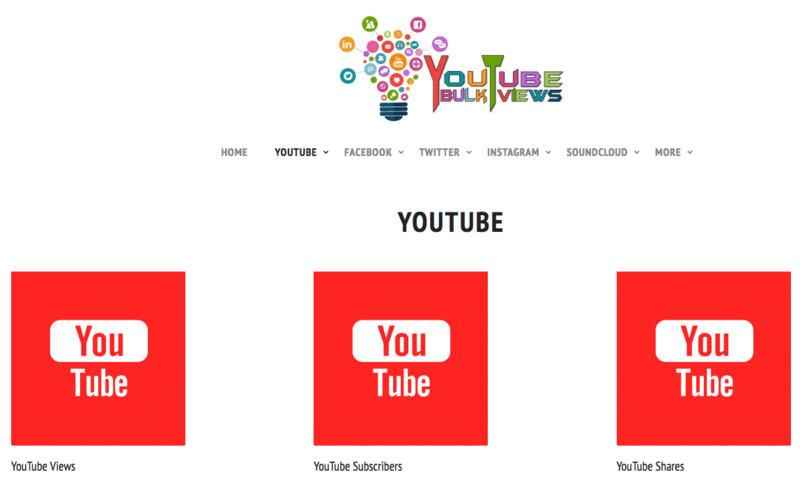 The company is based in the USA, and provides high-quality services for YouTube, Facebook, SoundCloud, Instagram, and Twitter. Their website is a little amateurish, but does present information on their services simply. The ordering process is simple as well. They are known for delivering high-quality organic social signals. The company allows users to customize their orders and target specific countries. Payments are made through PayPal and credit cards. We have to praise their customer support. They contacted us through their live chat immediately after we visited their page and responded to all our inquiries in a prompt manner. You can also reach them through email. The company only offers refunds if the order is not finished in their system, or if it’s not delivered in 10 business days. 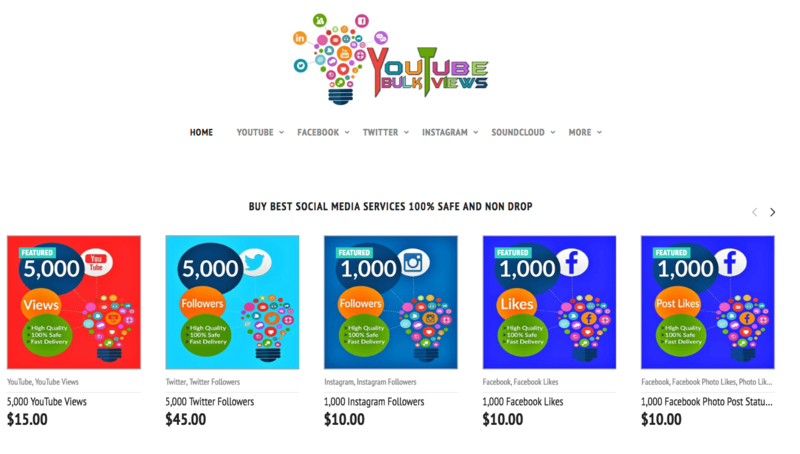 They offer a 6-month warranty to refill any dropped social signals. YouTubeBulkViews doesn’t have a satisfaction policy. There were many things that we liked about this provider. Their website may be a bit dated, but it allows every customer to navigate with ease. They have a splendid customer support team, and an impressive retention warranty. Furthermore, they offer real and organic social signals by using safe methods. One thing that could use some improvement is their refund policy, but that doesn’t disqualify them from being a good YouTube views provider. 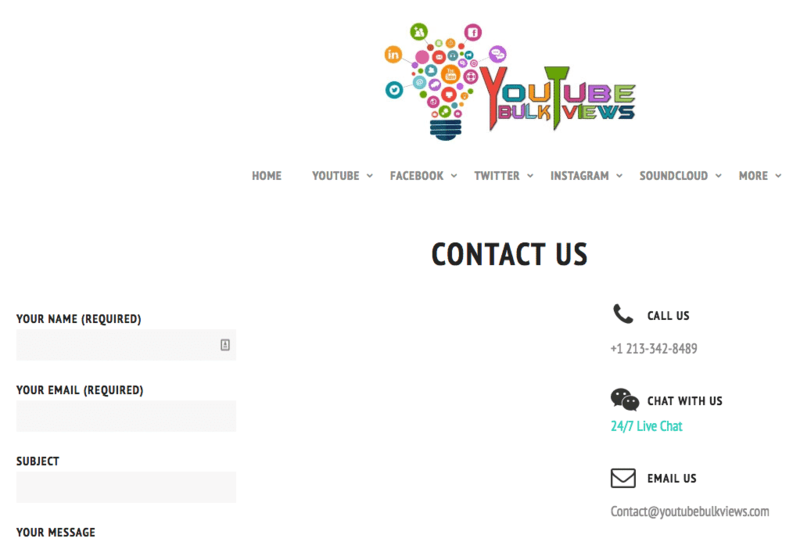 What did you think of YouTubeBulkViews? Write a review and share your thoughts with us.